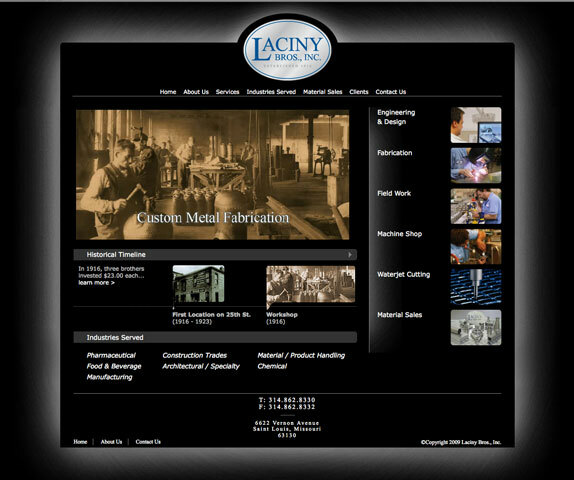 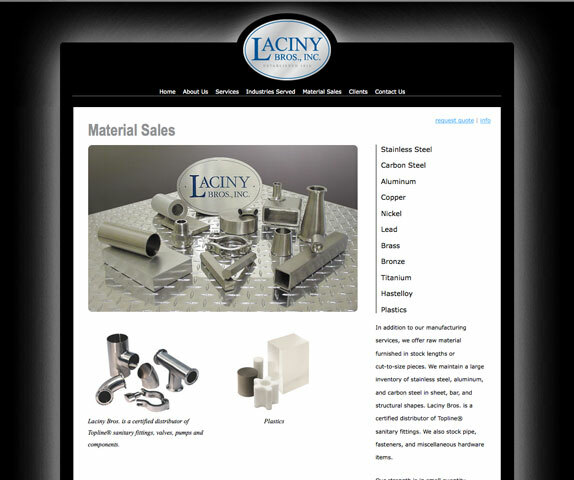 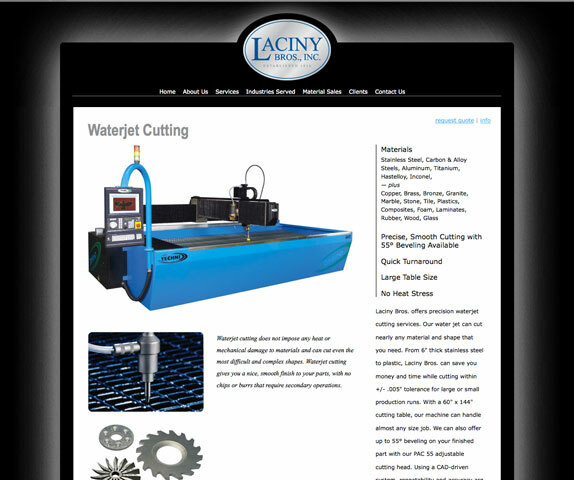 Projects | Laciny Bros, Inc.
Rose Design created a website and capabilities brochure that represents both Laciny’s rich history as well as it’s progressive future in the custom fabrication industry. 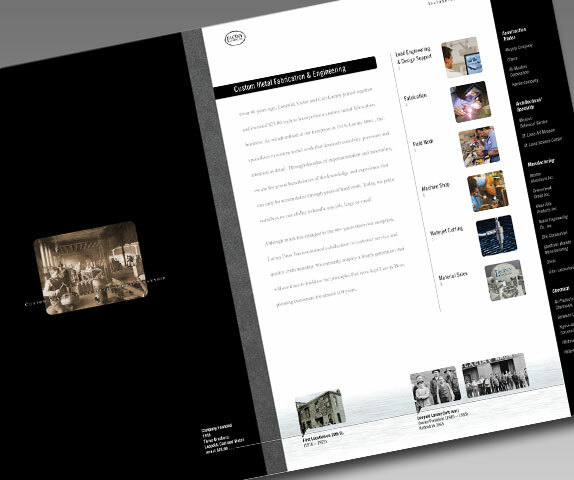 Rich blacks were used to symbolize quality. 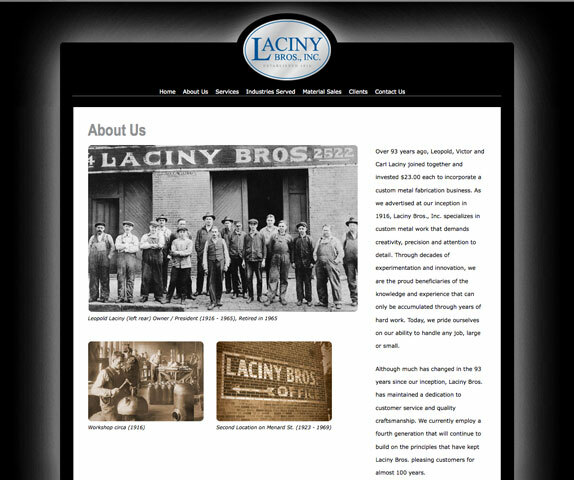 Using photography dating back to 1912, we built a timeline that showcases the family owned business’ evolution, highlighting how they have grown to meet their customers’ needs. 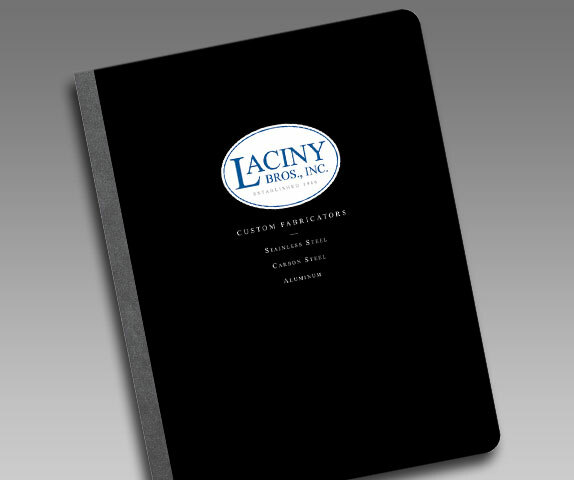 A video on the website gives a cross section of the industries served, while embossing, short folds and die-cuts in the brochure imply customization. 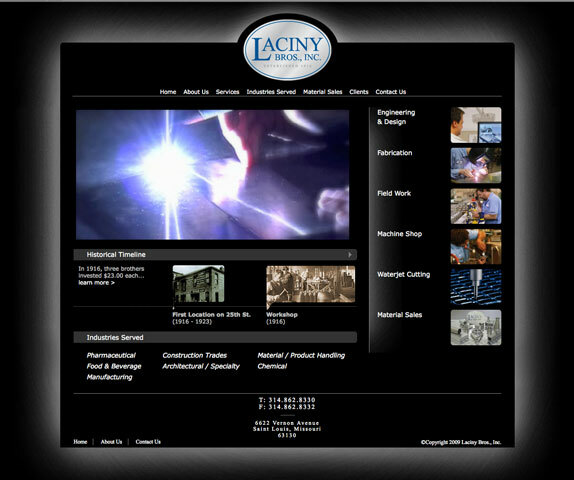 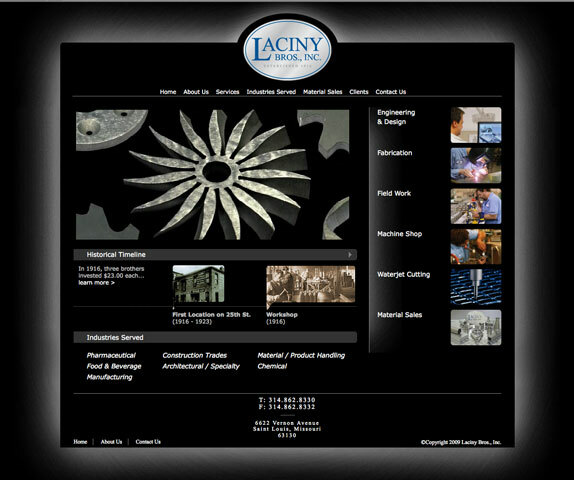 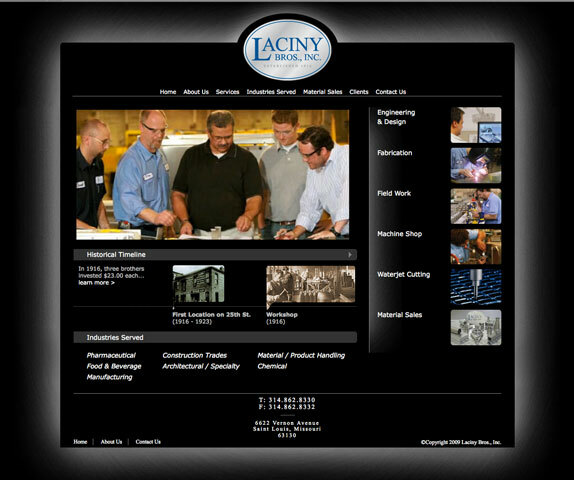 Laciny Brothers, Inc., is a custom steel, aluminum and metal fabricator.